With the emerging fashion trends over the past few years, footwear is Indian Beauties have made their mark in International Beauty Pageants over all those years. From Reita Faria to Nicole Faria, Indian beauties have conquered the hearts of millions of people all over the world with their charm, elegance and intelligence. Some won the International Titles while some missed to make it to the Finals. Here is a list of the Top 10 Beauty Pageant Winners of India, featuring names of those Indian beauties who won International Pageants. Sushmita Sen was crowned Miss Universe in the year 1994. She was born on 19 November 1975 in Hyderabad, Andhra Pradesh in a Bengali family. Her striking personality and charming attitude has won the hearts of many people all over the world. She was the first Indian woman to win the Miss Universe title. Sushmita has adopted two daughters and is raising them as a single mother. She is a successful Bollywood actress and has starred in a number of movies, namely Biwi No.1, Sirf Tum, Nayak, Aankhen, Tumko Na Bhool Payenge, Samay, Vaastu Shastra, Main Hoon Na, Kisna, Aag, No Problem, Do Knot Disturb etc. 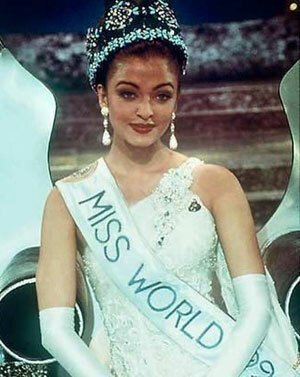 Aishwarya Rai was crowned Miss World in the year 1994. She was born on 1 November 1973 in Mangalore, Karnataka. She has mesmerised millions of hearts with her beautiful eyes and divine looks. She is a noted Hindi as well as English Film Actress and model and is married to Bollywood actor Abhishek Bachchan. Some of her most prominent performances are Hum Dil De Chuke Sanam, Devdas, Guzaarish, Jodha Akbar, Dhoom 2, Umrao Jaan, Guru, Provokes, Bride and Prejudice, Sarkar, Robot, Pink Panther 2. Aishwarya was honoured with Padma Shri in 2009. Lara Dutta was crowned Miss Universe in the year 2000. This was the same year when the Miss World and Miss Acia Pacific were also Indian beauties namely Priyanka Chopra and Dia Mirza. This was a rare victory for India. Lara was born on 16 April 1978 in Gaziabad, Uttar Pradesh. The elegance of this Bengali Beauty has conquered many hearts. She has acted in a number of Bollywood movies, some of them being, Masti, No Entry, Bhagam Bhag, Partner, Kaal, Zinda, Billu Barber, Do Knot Disturb, Housefull. Lara is married to the Indian Tennis Star Mahesh Bhupathi. Priyanka Chopra was crowned Miss World in the year 2000. This was the same year when the Miss Universe and Miss Acia Pacific titles were also won by Indian beauties namely Lara Dutta and Dia Mirza. This was a rare victory for India. Priyanka was born on 18 July 1982 in a Punjabi family from Bareilly, Uttar Pradesh. Her outward personality and a cool attitude makes her a successful actress and a wonderful person. Some of her noted movies in Bollywood are Aitraaz, Fashion, Don, BluffMaster, Krishh, Dostana, What’s your Rashee?, Anjaana Anjaani, 7 Khoon Maaf. Dia Mirza was crowned Miss Asia Pacific in the year 2000. This was the same year when the Miss Universe and Miss World titles were also won by Indian beauties namely Lara Dutta and Priyanka Chopra. This was a rare victory for the country. Dia was born on December 9, 1981 in Hyderabad, Andhra Pradesh. Dia has made a remarkable position in the Indian Film Industry and also is involved in many Community Services. Her Filmography includes Rehna Hai Tere Dil Me, Lage Raho Munna Bhai, Parineeta, Dus, Fight Club, Dum, Cash, Acid Factory, Love Breakups Zindagi and many others. Diana Hayden was crowned Miss World in the year 2007. She was born on 1 May 1973 in Hyderabad, India. She has acted in very few Bollywood movies and was also seen in the second season of the popular Indian TV show Bigg Boss. Lara has studied acting at the Royal Academy of Dramatic Arts in London. Before she began modeling, she worked for an event management company called Encore. Diana was the 3rd Indian girl to be crowned Miss World after Reita Faria and Aishwarya Rai Bachchan. Yukta Mookhey was crowned Miss World in the year 1999 defeating other beauties from 93 countries. She was born on 7 October 1979 in Mumbai, India. She lived in the middle east in the early years of her life. Yukta is married to Prince Tulli from Nagpur and has a son. Yukta has starred in a few Bolywood movies and is an active member of Bhartiya Janta Party (BJP). She has studied Computer Sciences and Hindustani Classical Music. Nicole Faria was crowned Miss Earth in the year 2010. Nicole was born on 9 February 1990 in Bangalore, Karnataka. Nicole was already into modelling since 2005 and has walked the ramp for India Fashion Week. In January 2011, she made in the list of Times’ 50 Most Desirable Men and Women of 2010 and was ranked number 10 in the women’s category. She has been associated with some recent popular events like a musical fest organized by Gitanjali Lifestyle and India Cyclothon – Mumbai 2011. Zeenat Aman was crowned Miss Asia Pacific in the year 1970. She was born in Bombay on 19 November 1951. She has brought a western impact to the Indian Cinema with her alluring looks and bold attitude. Some her very famous Indian Movies are Hulchul, Hare Rama Hare Krishna, Yaadon Ki Baaraat, Roti Kapada Aur Makaan, Heera Panna, Manoranjan, Ajnabee, Dharam Veer, Shalimar, Qurbani, Dostana, Laawaris, Jaanwar, Baat Ban Jaye. Zeenat Aman received a Lifetime Achievement Award during the Zee Cine Awards function in 2008, as a recognition of her contribution to Hindi Cinema. 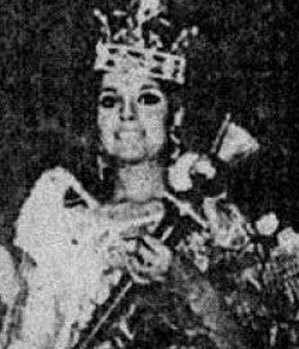 Reita Faria Powell became the first Indian to win the Miss World title, in 1966. After winning the Miss Bombay crown earlier that year, she won the Eve’s Weekly Miss India contest. After her one year tenure, she refused modeling and films and instead concentrated on medical studies. Reita Faria was a student at the Grant Medical College & Sir J. J. Group of Hospitals where she completed her M.B.B.S. degree. She lives in Dublin, Ireland with her husband, endocrinologist David Powell, whom she married in 1971. They have two children and five grandchildren. Reita was a judge at Femina Miss India in 1998, and has come back to judge the Miss World competition on a few occasions. Other Popular Indian Beauties who are well recognised are Juhi Chawla, Namrata Shirodkar, Madhu Sapre, Nafisa Ali, Tanushree Dutta, Amruta Patki, Pooja Chitgopekar, Celina Jaitely, Neha Dhupia, Sayali Bhagat, Parvaty Omnikuttan and many others.